When director Jeles András graduated from Színház- és Filmművészeti Egyetem he followed the path of many other Eastern European directors by filming documentaries and doing TV films. In 1979 he paired with fellow graduate, friend, and cinematographer Kardos Sándor to release A KIS VALENTINÓ. Debuting at a point in Hungarian history that was experiencing a lack of growth and the beginning strain of a global recession that heavily hit Eastern European economies. Jeles took that documentary style to create a slice-of-life film that follows a young man as he carelessly wanders around town spending money he has stolen from work. A KIS VALENTINÓ captures the feelings of Hungary in the late 70’s, an era seemingly without opportunities and a looming unknown. 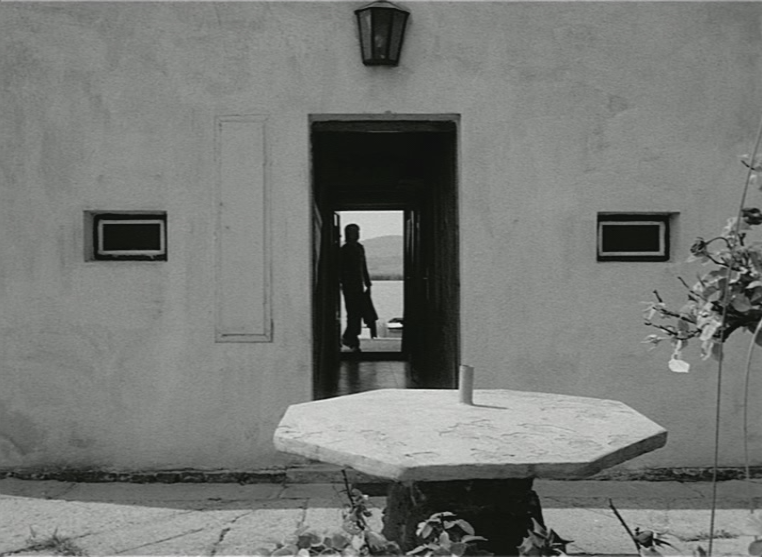 At times, the film feels reminiscent of the aesthetics of Antonioni, with Jeles choosing to focus on a character that is without direction and seemingly alone. 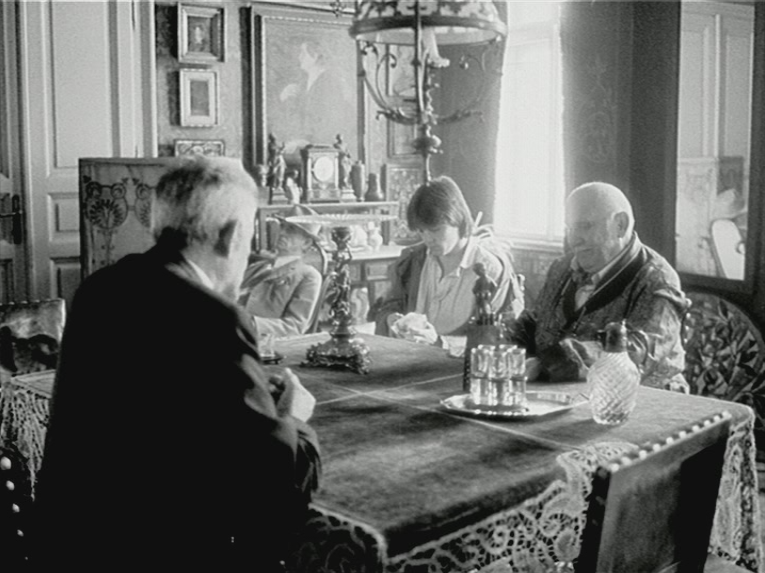 Jeles claims that at one point A KIS VALENTINÓ was over four hours long with a deeply dense narrative, where characters are constantly lost and found in both the foreground and background. With its current edit, A KIS VALENTINÓ maintains that density if the audience chooses to seek it out themselves. 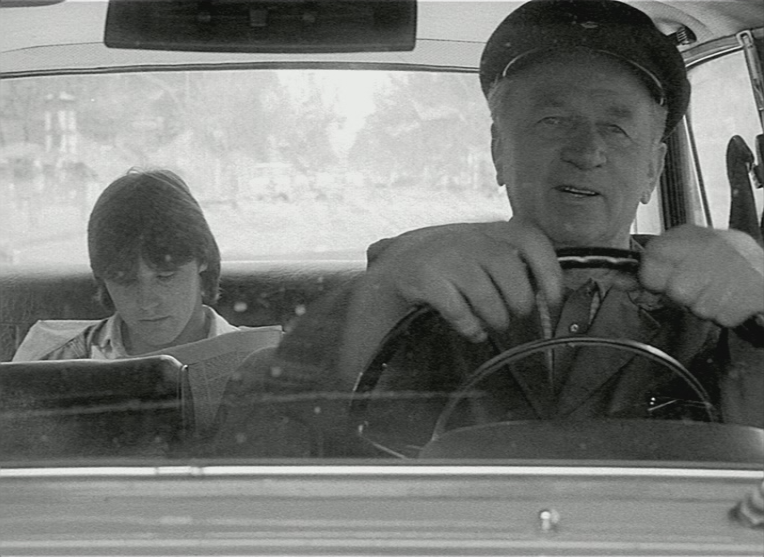 Laci (Opoczki János) begins his day leaving one job for another where he helps move furniture. He is tasked with mailing off the money from his first job to officials. While traveling with his coworker, they stop at a post office but Laci decides not to mail the money. His coworker is frustrated that he is taking so long at the post office when they have work to do, so he leaves Laci there alone. Laci spends the rest of the day loafing around and slowly spending the money on frivolous things like cakes and cigarettes. He hires a taxi and has the driver aimlessly drive him around the city. They stop so Laci can visit his mother who seems trapped in a state of depression, lying silent and motionless in bed. Soon he visits a bar and gambles on a pinball game with other youths. He spends the last of his money on a young prostitute for his friend. With the money spent, Laci goes to the police station to seemingly turn himself in. 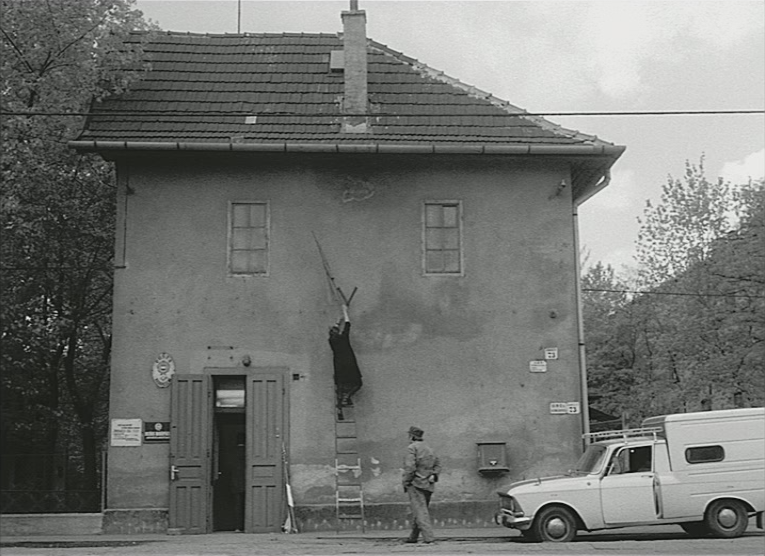 A KIS VALENTINÓ embodies a general sense of apathy based on the experiences of Hungarians in the late seventies. While things may have been easier in Hungary at the start of the Kádár era with the paternalism of the gulyáskommunizmus, the late seventies saw a reawakening of the Cold War and the start of a global recession that heavily hit the Eastern Bloc. The new opportunities afforded by gulyáskommunizmus dried up in Hungary as the country returned to a situation that was more in line with the rest of the Eastern Bloc that hadn’t experienced a change in economic policies. This scenario becomes the crux of the singular day where the audience follows Laci and the stories around him. 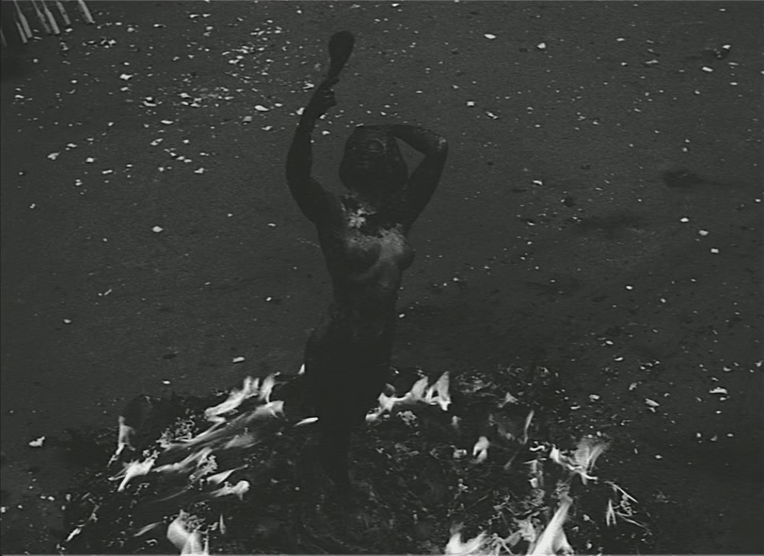 To capture the absurdity of the situation, Jeles blends both elements of the real and the surreal through his use of filmic language. A KIS VALENTINÓ is not just composed of staged shots, but includes scenes of voyeurism documenting the real lives of Hungarians. This technique is more prominent in the opening of the film as Laci rides the tram and leaves the station. Jeles continues to blur reality by creating a narrative that is constantly turning away from central character and briefly focusing on characters that are removed from Laci’s personal story, but still bound by his aimlessness. While at times it’s difficult to sense this in its current state, Jeles claims the idea is more fully envisioned in his four hour cut. These secondary characters were meant to flow in and out of Laci’s story. For example, in one scene Laci lays on a broken bench watching his coat burn in a trash can while a wedding party is leaving the chapel. That same couple is seen again at the end of the film riding the tram. Some of these characters were purposely meant to be unnoticed throughout the film, representing in a larger sense the feelings of Hungarians whom felt their concerns were unnoticed. Jeles also chose to mix both traditional actors with non-actors. Opoczki János, who plays Laci, originally showed up at the casting call as support for his friend who was interested in being in the film. Jeles was impressed by his carefree attitude and approached him for the role believing he was perfect for the apathetic Laci. Besides his apathy, Laci is also marked by his loneliness and isolation. Throughout his day, Laci seeks companionship either by calling out to girls or taking taxi rides. When Laci stops to visit his mother she is despondent, lying motionless in bed unaware of him. His aimlessness dominates his life, and because of this he seems unable to focus on committing to connect with another human. Towards the end of the film he can’t even pursue the prostitute, instead letting his friend go off with her and afterwards paying for the prostitute himself with the last of his ill-gotten gains. Both Laci’s loneliness and his apathy help to define the large sum of money as his only opportunity to break for the perpetuity of his motionlessness. This idea of wealth as an outlet to curb one’s troubles is no doubt a universal idea that any audience can connect with, which is what helps A KIS VALENTINÓ to reach a wider audience. Yet for all the money Laci spends, nobody seems positively affected by it. Laci seems uncomfortable with his endless taxi ride and his mother is unresponsive to the cake he has bought her. In one scene he eats at a nice restaurant in a hotel, but only one other couple exists in the establishment, reminding us how isolated Laci is from reality. All of this leads to how absurd Laci’s reality is, a reality that is poised at a standstill, seemingly at its end. Jeles’ use of surrealistic scenes and dialogue help to blunt this seemingly dark tone by being a balance to the voyeuristic slice of life elements that are carrying that depressing message. Though Laci’s narrative seemingly ends with his surrender at a police station, Jeles again chooses to balance that message. Jeles impresses most when one starts to deconstruct how dense A KIS VALENTINÓ. It’s not just Laci’s lack of direction that is depressing; it’s also the idea of how much cruelty is lurking in his shadow. Even though he was supposed to post the money he stole earlier that morning, he is fearful later on in the day that the police are already on to him. After leaving his mother’s apartment, he is stopped by two secret police in the hallway, one of which is played by a non-actor. They question Laci’s identity and ask to see his papers but let him go. Later in the film he eats at a different restaurant and when it comes time to pay the tab the waiters beat him up. He escapes and finds a river where he undresses and floats in the water. This is uncharacteristically filmed as the only slow motion shot in A KIS VALENTINÓ, focusing on Laci as he submits to his humiliation and cleanses himself. A KIS VALENTINÓ also carries a positive tone with the idea that something new can emerge when something is lost. It’s because of the stolen money that Laci is afforded a new opportunity, whether it is positive for him or not. This is seen in the staged scene where Laci puts his coat in a trashcan and sets it on fire and goes to lay on a bench. As he lays and watches it burn, a new beginning is being witnessed in the background of the scene with a wedding occurring. At the conclusion of the fire, we see a statue was placed at the bottom of the trash can and it’s the only thing that remains among the ashes. Jeles expands on this thematic dichotomy with how both he and cinematographer Kardos Sándor aesthetically shoot A KIS VALENTINÓ. 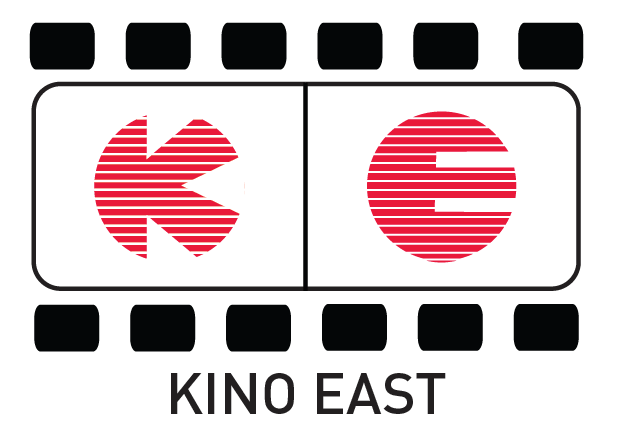 The film itself is black and white, well into the color era of film for Hungary. Besides being black and white, the film is also blown out with many scenes having overexposed shots with too bright whites and too dark blacks. This is partly because Kardos used no interior lighting and instead set up artificial light outside of windows; and also because of Jeles’ desire to overlay lots of text over the image. The text that appears throughout the film helps to lend a more novelistic feel to A KIS VALENTINÓ. Interestingly, Kardos did not care for this aesthetic touch to the film. At the conclusion of A KIS VALENTINÓ the audience is again reminded of this duality between positive and negative themes. After Laci surrenders himself to the police, the camera follows a new character leaving the station that stops to buy flowers before getting on the tram. Though the audience is unaware, he sits next to the couple that was married earlier in the film. Jeles again uses a wildly different film style and intersects a completely different film among this scene. The opposing scene takes place in a bar with well-known Hungarian actors. The patrons drink and fight while dialogue talks about the titanic sinking and the band playing till the end. This different scene leads the audience to witness a new beginning being evoked by another’s ending. While an understanding of the context of its initial release in Hungary is necessary to grasp the totality of Jeles’ vision, A KIS VALENTINÓ is a rarity for its time. A refreshing blend of styles, it’s a film that seemingly exists in the ashes of an era of the more inventive sixties films. Still, it stands shoulder to shoulder with the previous films from that era thanks to Jeles’ ideas and Kardos brilliant camerawork. Opoczki János’ role as Laci is sublime in its ability to capture a cultural feeling. 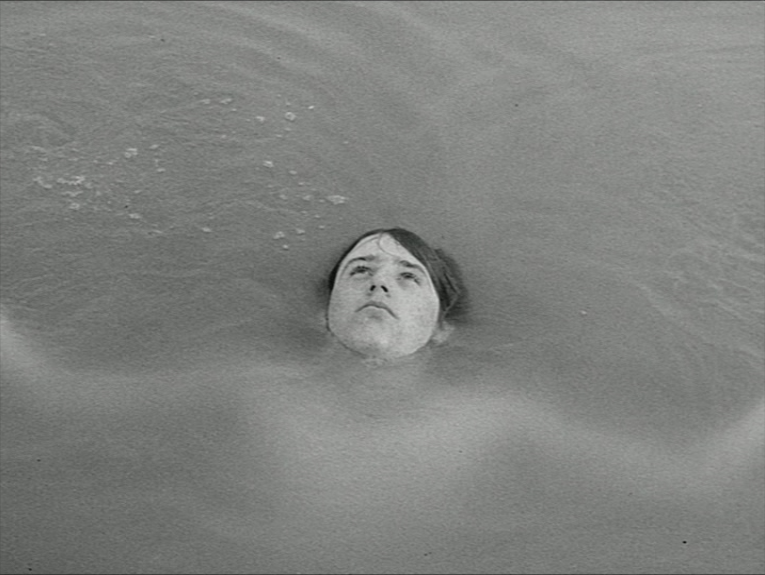 Undoubtedly, it is understandable why A KIS VALENTINÓ is an influence on contemporary Hungarian directors.